Recently, another Bushwick (technically East Williamsburg, but whatever) multidisciplinary haven is experiencing pressure to get outta here. 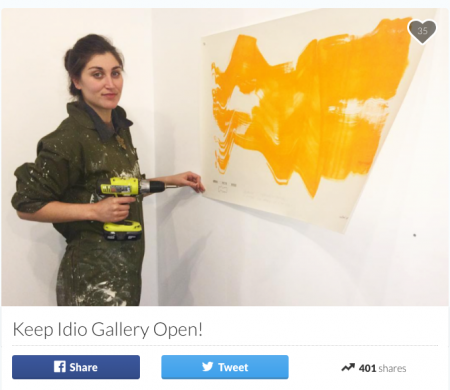 IDIO Gallery, which is solely owned, operated, and curated by Montana Simone, has started a $60,000 GoFundMe page as a plea to keep their doors open. After a year and a half of operation, 10 art shows, and 75 events, IDIO’s future is now uncertain. Simone explains on her GoFundMe that the space owes $10,000 in the next month in just taxes, utilities, and insurance, and their rent has increased to $4,000 per month, totaling $48,000 through July of next year. Their lease is up in a year, and she tells me their landlords have threatened not to renew it next July, citing “parties” (i.e. : IDIO’s art and performance events, which draw crowds) as the reason. Due to this, they’ve had to cut down on programming, which has in turn made it more difficult for the space to survive. We visited IDIO a few months ago for the opening of their art show Phantasmagoria, curated in collaboration with Gillian Zinser and co-presented by A Women’s Thing Quarterly. What we found was a vibrant space tucked away in the midst of industrial sprawl, unassuming on the outside but bursting with activity inside. Rather than a stuffy art opening punctuated only by chatter, IDIO offered a more authentic and enjoyable way to experience visual art, with just enough of a party atmosphere to also give you a new friend or two. These could be fancy friends: Simone tells me attendees of their last opening included Josh Tillman (a.k.a. Father John Misty) and bestselling author Tom Folsom. 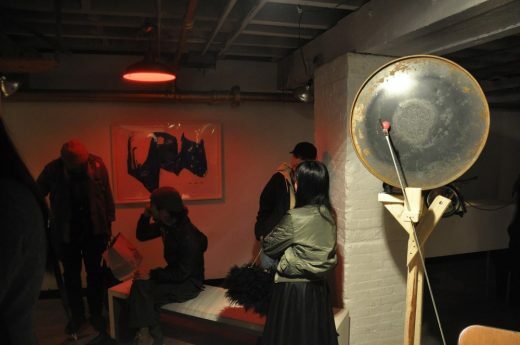 IDIO is unique in that it’s able to mix the vibes of both a DIY music space and a more traditional art gallery while also offering more eclectic programming, like their sound art series. Some DIY spaces can start to feel niche or scene-y, but IDIO has maintained an impressively wide spread. 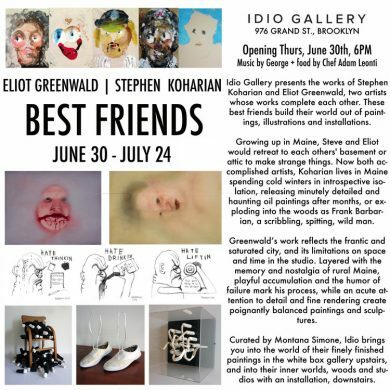 IDIO’s current exhibit is Best Friends, showcasing the multidisciplinary work of two artists and longtime friends, Stephen Koharian and Eliot Greenwald. The show takes over both floors of the gallery, offering a contrast of “finely finished paintings” in the more traditional white space upstairs and a more rough-and-tumble installation piece downstairs, which takes a “peek into their inner worlds, woods, and studios.” It’s a clever architectural wink at the artists’ history of making work—the exhibit description mentions the two would create in each other’s attics and basements. For those who don’t have pockets a-flowing, Simone says there are plenty of other ways to help support IDIO. “Anyone who wants to come work and help run Idio is more than welcome!” She specifies, “We need to do construction, maintenance, cleaning, booking, curating, handling, errands, fundraising, grant-writing, so many things I can barely do alone.” She writes in her GoFundMe that running the space had become a 70+ hour-per-week job. IDIO Gallery is open Sundays 1-5pm or by appointment at 976 Grand Street, Studio D, East Williamsburg. ‘Best Friends’ is on view through July 24. Find their crowdfunding page here. Update, July 15: The original version of this post was revised to include the names of Simone’s partners in the Woodstock project.